The Post Office is looking for IT services firms to provide back-office IT applications and networking technologies in contracts worth hundreds of millions of pounds. 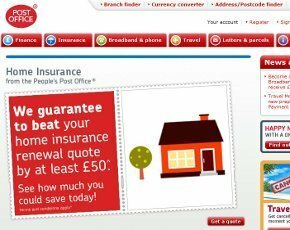 The Post Office wants a network service provider to provide services for 10 years (in a contract worth up to £200m) and a supplier to provide back-office IT applications for up to nine years (worth up to £230m). “Post Office is undergoing a significant level of change to deliver its strategic priorities, including separation from Royal Mail and transforming Post Office branches,” said the tender. This IT network service procurement wants a supplier that can provide services including wide area networks (WAN); local area network (LAN); network and IT security; unified communications; mobility services; and contact centre solutions. The Post Office also wants an option to acquire services including hosting and infrastructure support and management services. “The main vehicle however, for acquiring hosting and infrastructure services, is intended to be the Data Centre Tower that is currently in procurement. The back-office IT application services includes service management activities, and the development, maintenance and support of centrally managed applications that support non-customer facing business operations. Post Office IT is currently under scrutiny following an investigation after sub-postmasters alleged they we falsely accused and even prosecuted for accountancy malpractice. Although the accounting system, known as Horizon, appears to have worked properly, a report has raised concerns over unreliable hardware, exceptionally complex systems and a lack of proper training. Awesome. I worked a contract for the USPS once, and they were a great group to work with. Nice. Just may have to look into this.